Delivering premium quality well control training to oil and gas operators and drilling contractors worldwide. Partnering with Safety 24/7, Smith Mason & Co Is Bringing A New Presence to Well Control and Safety Training in the Middle East. 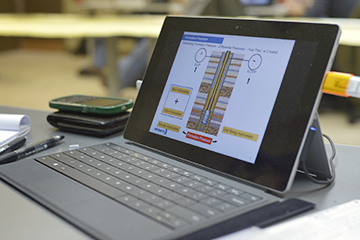 Focused on teaching fundamental principles and human factors that enable you to respond quickly and confidently. A unique and innovative approach to becoming an effective leader. 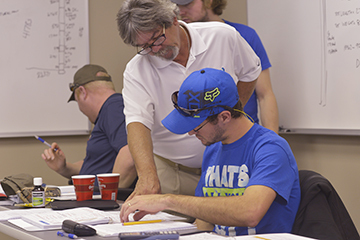 Providing a team of seasoned oil and gas industry veterans and dynamic young instructors. To sign up for one of our courses, please call us International: 1-337-889-3955 or Toll Free: 1-855-766-3635. For more information about our course schedules, click here. Smith Mason & Co has formed an official partnership with Safety 24/7. This partnership combines the expertise of two well-known and respected companies focused on hands-on well control training and safety. Mustafa Moussa and his team will offer quality well control courses as well as other Smith Mason & Co technical courses. To learn more about Safety 24/7, visit their site at safety247me.com. © 2015 Smith Mason & Co. All Rights Reserved.